Darkroomers Photographic Club is one of the oldest camera clubs in San Diego. The club was formed in 1941 but our legacy dates back to 1927. 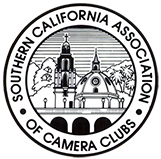 A splinter group of The Camera Enthusiasts, the Club is now part of the Southern California Association of Camera Clubs where it shares the Photographic Arts Building with other amateur photography clubs in Balboa Park to help bring the art of photography to the city of San Diego. Darkroomers special interest is in printed photographic works and, while our roots are wet darkroom based printing, we are a modern club whose members exhibit their work from digital cameras, digital darkrooms and digital printers. We still welcome those who print the old fashioned way to join and exhibit their work, though. Meetings are held on the First, Third and Fifth Wednesdays of each month. First Wednesday meetings are generally reserved for programs but we may have an occasional business meeting or Gallery Night during our first Wednesday meeting. Program content changes monthly and varies from renown photographers talking about their craft to presentations which discuss technique. Third Wednesday meetings are for exhibitions where our member’s printed works are critiqued by an industry professional, renowned artist, accomplished photographer or photographic educator. Fifth Wednesday meetings are Gallery Night. Gallery Night happens only a few times a year and is a social event for members and guests but it generally includes a small program or competition. Once per quarter we have a competition where we invite members of the community to vote on image submissions. These quarterly competitions are themed so all of the images in the competition have a common rhythm. Members and guests in attendance enjoy hors d’oeuvres and a cocktail party atmosphere but the fun part of Gallery Night is that guests get to critique our work by voting on images. Points are accumulated during the year for each member who enters and additional points are awarded based on votes. Winners in each division are awarded prizes. You must be a member in order to enter the competition but anyone can attend and vote. In addition to our Wednesday meetings, we have a workshop on the Second Saturdays of even months and a photowalk on a Saturday during the odd months. Each fall we host the San Diego editions of the 500px Worldwide Photowalk and Scott Kelby Worldwide Photowalk. This is a great opportunity for others in the community to come shoot with us. We also have a yearly competition in January where members submit images to be scored by a panel of judges and win awards and mentions for their work. Visitors are always welcome to visit our meetings but only members can submit images for critique, take part in workshops (except those open to the public) or attend a photowalk (unless you are a guest of a member). We encourage you to come join us.